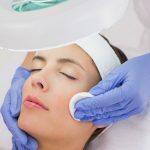 What is The Acne Free Skin Program and what does it include? Envision Acne & Skin Center has a result oriented Acne Free Skin Program that will have your acne under control in approximately 10-14 weeks. We combine specially formulated acne home-care products that are customized for your type of acne and skin with an acne treatment series scheduled bi-monthly that will clear up your skin and rid you of pimples and blemishes. Achieving clear acne free skin starts with understanding what acne is and what aggravating factors cause your acne. 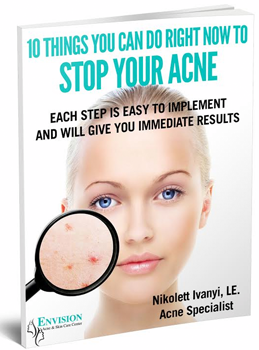 Step by step instruction on what you have to do to keep your acne under control and to get clear acne free skin, then taking serious action on it. 1. 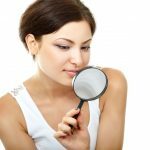 )Be your own Acne Detective: On our first consultation, we will explain everything you always wanted to know about acne. Consider this discussion your “Eureka” moment. Finally, all those questions you’ve been asking yourself and never were able to find an explanation will be answered. Click here to read about our Consultation. 2.) Complexion analysis: after a thorough consultation we will analyze your acne and your skin condition. You will be given a skin sensitivity test. After the test, we will create a personalized Acne Free Skin Program specific to your skin needs. The number of treatments recommended will be determined by the type and severity of your acne. 3.) Clear up your acne treatments: The treatments are designed to exfoliate your skin, loosen up sebum and to extract impacted pores. Your treatments will include either a very mild chemical peel or a very gentle exfoliating enzyme. Neither, are uncomfortable or will make your skin visibly peel. Then, extractions are done to help speed up the clearing process of your skin. 4.) Step by step how to guide: We will make product recommendations and show you exactly how to use them. You will be given step by step instructions on how and when to use your specific home care products. How does The Acne Free Skin Program work? The Acne Free Skin Program is a combination of bimonthly acne treatments, using PoreInfusion home care products and receiving a guidance of an acne specialist to help you achieve clear, acne free skin. You will receive a customized home care protocol and lots of helpful information on how to clear up your skin. When you start working with us you will be coming in for acne treatments every 2 weeks for about 6 treatments. You also have to use products on your skin at home to help the clear up process. During this process, we will be working with you to closely monitor your progress and make adjustments that necessary for your improvement. We don’t want your skin to be too dry and irritated. Every time you come in for a treatment we extract the existing acne lesions, rehydrate your skin and adjust the products that help prevent new acne lesions from forming. It is important to keep pushing the skin to get clear with products that need to be adjusted every 2 weeks. It takes up to 90 days for acne to form and come to the surface, so in the three months that we are working with you, you will have some breakouts. These are just old lesions coming to the surface that we extract every two weeks. In about three months your acne is under control and your scarring will start to heal. When your acne is finally under control you have to maintain your results by using your home care products. Most of our clients come in for a maintenance treatment every 4-5 weeks. Check out our testimonial page and facebook page to see what our clients are saying about our program. Click here to read more about our Consultation. Click here to read more about our Acne Treatments. In order to serve our clients with the utmost attention, we like to take all the preparation necessary for our first meeting together. 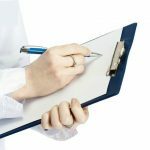 We require all new in-clinic and virtual clients to complete the following forms within 48 hours of their scheduled appointment. If you fail to fill out these forms your appointment can not be guaranteed. Remember acne is not a curable disease, but with the right products, you can keep it under control. You will look better, feel better and regain your self-esteem! Are you ready to have clear skin again?